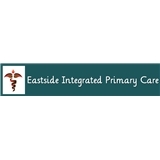 Eastside Integrated Primary Care (Bellevue) - Book Appointment Online! Awesome place, everyone here is great, wants to help me, and make sure I am the "best I can be". Ana is incredible. My first visit - very impressed. I never felt rushed at any point, and the questions and the attention given to my answers gives me a lot of confidence. This was my first time with a Naturopathic Doctor and I am optimistic that the holistic approach is going to bring better results for me. There's was some confusion on my part & I ended up being late to my appointment, however, both the receptionist and Dr. Walsh were super understanding and so kind! I didn't feel rushed through my appointment & Dr. Walsh made me feel heard for once. I definitely recommend!